Benicio Bryant, is a 14 year old singer-songwriter from Maple Valley, WA. 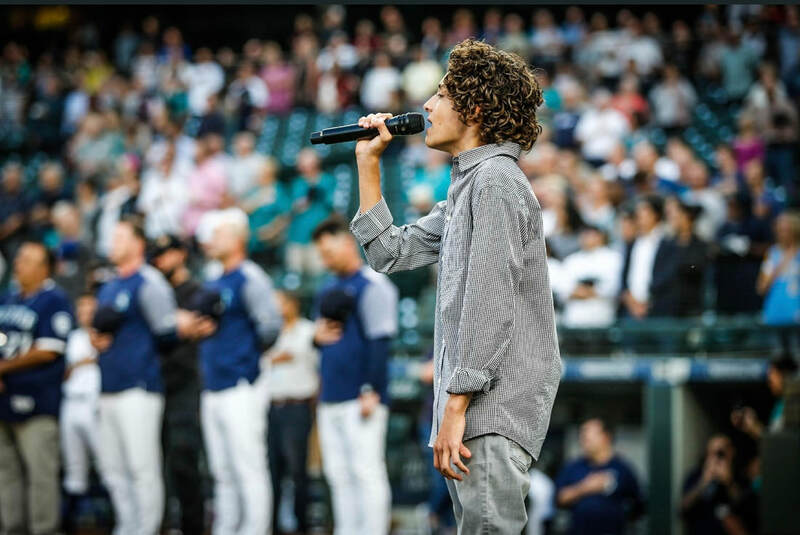 He has been performing for years in the Seattle area and beyond, and one of his recent accomplishments includes performing on The Voice Kids in Germany and placing 2nd overall! More recently, he was on The Seth Meyers show and had the opportunity to perform with Brandi Carlile. He has a newly released song, “My Love” is available now on iTunes and Spotify. He is excited to be performing at Dance for a Cure this year and to be supporting such a fantastic cause! Please welcome Benicio in to our Dance for a Cure family! We are excited to see him perform and share his amazing talent with us!